THE B-MOVIE NEWS VAULT: Scream Factory's SHOCKER: COLLECTOR'S EDITION - Full Specs & Extras! 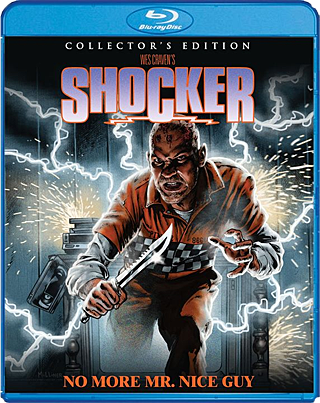 Scream Factory's SHOCKER: COLLECTOR'S EDITION - Full Specs & Extras! WES CRAVEN'S SHOCKER MAKES ITS BLU-RAY DEBUT ON SEPTEMBER 8TH, COURTESY OF SCREAM FACTORY! Egads, it's finally happened - SHOCKER IS COMING TO BLU-RAY! SHOCKER is an extremely batshit insane Horror flick, from dream-obsessed director Wes Craven! This movie is a HUGE guilty pleasure of mine, and I can't wait to see it in high-def with tons of extras created exclusively for this impressive Scream Factory release! Film Synopsis: About to be electrocuted for a catalog of heinous crimes, the unrepentant Horace Pinker transforms into a terrifying energy source. Only young athlete Jonathan Parker, with an uncanny connection to Pinker through bizarre dreams, can fight the powerful demon. The two dive in and out of television programs, chasing each other from channel to channel through stunning scenes of disaster, game shows and old reruns. A blend of dazzling special effects and an electrifying soundtrack, SHOCKER stars Michael Murphy (X-MEN: THE LAST STAND, BATMAN RETURNS), actor/director Peter Berg (actor SMOKIN' ACES, director LONE SURVIVOR), Cami Cooper (LAWNMOWER MAN 2: BEYOND CYBERSPACE) and Mitch Pileggi (THE X-FILES, SONS OF ANARCHY) as Horace Pinker. Reversible cover art featuring the original theatrical poster art! WHOA! That is a lot of awesome on one disc! Yep, this is definitely a must have in my book! SHOCKER: COLLECTOR'S EDITION will be available on September 8th! You can order it right now at AMAZON.COM or get it directly from SHOUT! FACTORY. 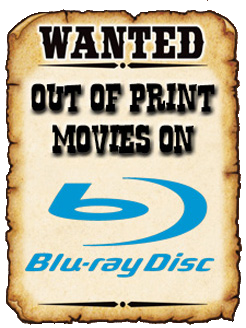 If you buy it from SHOUT!, you will receive the disc two weeks early, with a FREE poster of this blu-ray release's new cover art! ENJOY SHOCKER'S THEME SONG IN CELEBRATION OF THIS RELEASE!